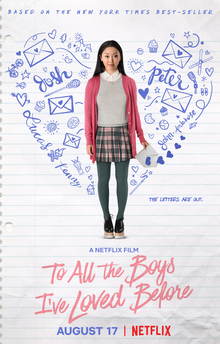 Though Jenny Han’s charming trilogy featuring endearing protagonist Lara Jean Song Covey was released quite some time ago, the first novel, To All the Boys I’ve Loved Before, has only recently been released as a movie on Netflix. The story, which follows Lara Jean(Lana Condor)’s mishaps in writing love letters to her crushes(that eventually get sent, much to her dismay), is a refreshing film in the rom-com genre. The film adaptation, while slightly straying from the source material as movies tend to do, still managed to capture the whimsies and nuances of first love from the perspective of a relatable teenager. It’s extremely gratifying to see that the directors kept most of aspects of the book intact—author Jenny Han has been vocal about her difficulty finding a movie studio that would not whitewash her main character, who is half-Korean. Lana Condor, who plays Lara Jean, continues to speak out about the importance of Asian representation in media and pop culture. The film, while keeping surprising fidelity to the source material, also veers off direction in its decision to cut out some of the scenes in the novel. While it would have been amazing to see those scenes brought to life, some of the things added in made up for it: the yogurt drinks, Lara Jean and Peter Kavinsky(The Foster‘s Noah Centineo, who also appears in upcoming Netflix teen drama Sierra Burgess is a Loser)’s partygoing chemistry, and heart-to-hearts with Mr. Covey(including a laughable moment with Chris(Madeleine Arthur) in which she questions his profession as a gynecologist). Ultimately, this is what can be said about most movie-book showdowns: the book was better, and To All the Boys is no exception. But, like Harry Potter, the movie version is just as excitable, if not more cinematic, and it’s truly incredible to see Asian-American characters who break the mold of dragon ladies and china dolls on-screen. Cue the applause for director Susan Johnson, and of course Jenny Han. However, many people who’ve watched the movie have not read the book, and that’s okay. The movie as a standalone work is still worth your time, and you’ll find little bits of yourself in its characters. It’s utterly shining, heart-swelling, conscientious. After watching it, it’s clear that I for one won’t stop obsessing over it any time soon, and neither will its other numerous viewers. And, though the number of rom-coms I’ve watched in my lifetime is still in the low single-digits(I’m thinking maybe three), To All the Boys wins my heart as number one—an instant classic. Netflix did a good job with this one after the whole Kissing Booth debacle. Anyway, I’ll be waiting for the sequel. While we’re at it, you should give it a try—as well as those yogurt drinks. Those are crazy good. Korean-American author Mary H.K. 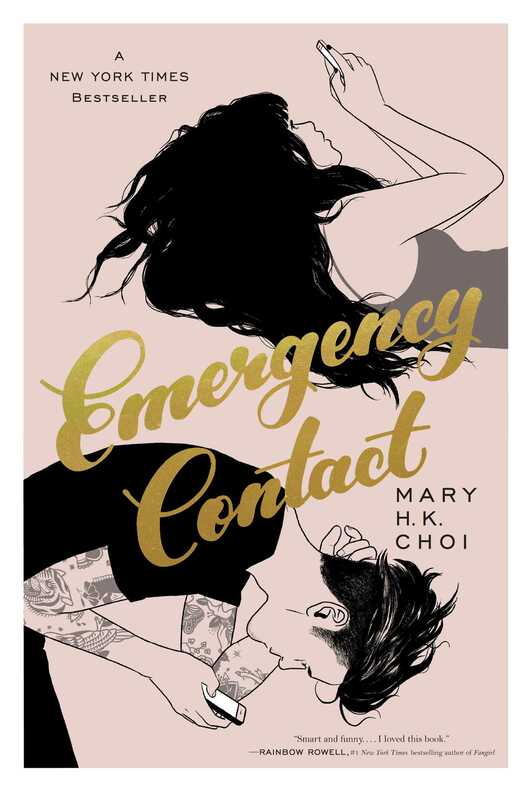 Choi humbly states that her debut novel Emergency Contact is a book in which “high-key nothing happens,” but if one were being honest, the story deals with nuances that transcend the somewhat pedestrian nature of falling in love. Here is a novel featuring a protagonist of color who has dealt with sexual assault and her counterpart, someone who suffers from anxiety. Because the new wave of literature in light of recent revolutions is becoming increasingly diverse, Choi falls into line by bringing in seldom-talked-about issues into acknowledgment. The novel itself, though, is relatively mundane: college, falling in love, texting, no buildup nor climax, only a couple hundred pages of fluff – but the underlying ideas make up for it. The premise of the book, however, is sweet: the idea of having someone as your safeguard and home(hence the title Emergency Contact) is something that reinforces the idea of clear communication and healthy relationships, especially in the digital age. Additionally, Penny and Sam, our two starring characters, will become more relatable the further you read. They’re charming, bittersweet, and show a lot of the author’s heart inside each of their personalities. Ultimately, the coffee-shop cliche and cutesie scenes make for your average YA novel, spanning across pages of sentiment. You’ll laugh, ache, and feel for the characters you’re reading for and the experiences they go through. There will be a tough time spent trying to detach yourself from Penny and Sam, and the essential message is this: if you’re looking for your next sappy(yet barrier-breaking) YA, here it is. Emergency Contact by Mary H.K. Choi is available for checkout from the Mission Viejo Library. The Great Gatsby is one of those rare novels that remains enduring long after publication and lives immortally within the minds of its readers. Crafted with frothy and beautiful prose, Fitzgerald proves himself to be one of the greatest American authors of all time. Set in the lost empire of the Jazz Age, Fitzgerald weaves a tale with poetic and fluid words about the longings and desires of humankind. It’s slathered in lavish parties and flamboyant characters but maintains a darkly whimsical nature, one that is utterly timeless. And, unexpectedly rising from its seemingly superficial exterior, The Great Gatsby teaches us about the intrinsic nature of humanity. We are brought to the stage by Nick Carraway, whose ever-observing eye captures the details of our story with unrelenting vividness. Jay Gatsby, whose five-year purgatory awaiting redemption with silver-voiced Daisy Buchanan, possesses unfathomable charisma that jumps out at you from the page. By the end of the novel, the reader is stunned by the burning revelation that all people are exactly the same as Gatsby—reluctant to let go of the past and stagnant between ghosts and the present. If you’ve already watched the movie, it’ll be hard to disassociate Leonardo DiCaprio’s disarming smiles from Gatsby’s arresting charm – but DiCaprio and the partygoer seem to diverge once pulled into the mystery that is Jay Gatsby. Upon climax, Gatsby ventures darker than did ever the reputation of sunshiney Leo, but that is a debate for another article. Altogether, I’d have a grand total of two words to say in conclusion: read it. Read it and marvel at the literary artisan that is Fitzgerald, then wonder what ever did happen to his wayward characters. 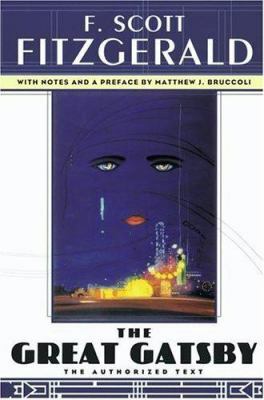 The Great Gatsby by F. Scott Fitzgerald is available at Mission Viejo Library. Fresh out of futuristically twisted fairy tales embedded with machinery and metals and lights surges a new novel series by bestselling author Marissa Meyer. 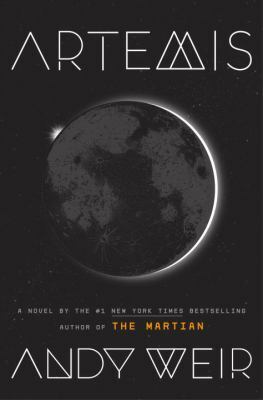 The debut novel in the series, Renegades, diverges from Meyer’s earlier works like the Lunar Chronicles and Heartless in nature – instead of exploring the illustrious what-ifs of princesses and queens, it encompasses the adventures of superheroes. Bear with me here – this isn’t your average comic book. Meyer takes a turn from the conventional and places her two protagonists on opposite sides of the good/evil spectrum. Nova, bitter and brimming with vengeance, marks herself as a villain. Adrian, the spawn of righteousness and leader of a pack of do-gooders, is a hero to his core. It is this tension and star-crossed drama that creates an air of edge-on-your-seat, an aura of suspense. It’s a fun concept to play around with, the syzygy of right and wrong coupled with the punch and action of prodigies and superheroes. There’s a clandestine nature of Nova’s job as a spy that makes it secretive, and a lightness of Adrian’s good that brings sunshine to the novel. Add the fact that every character you meet is eccentric and unique, and you surely have the recipe for a good novel. Execution, however, is another story. Meyer’s writing lacks a flow and poetry that I love to read, perhaps due to the fight-and-flight air of the storyline, and some of the characters land on the verge of strange. Yet, altogether, Renegades is a fun little read – it doesn’t have too much substance and is full of cute little cliches – and so if you’re looking for a good way to fill in gaps of free time, this is your perfect book. 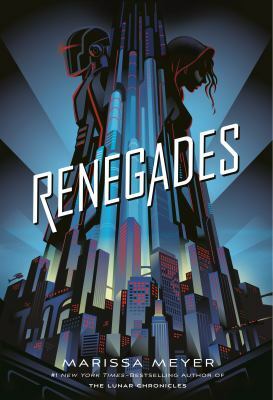 Renegades by Marissa Meyer is available for checkout from the Mission Viejo Library. And finally, an unacknowledged polar explorer of the nineteenth century. 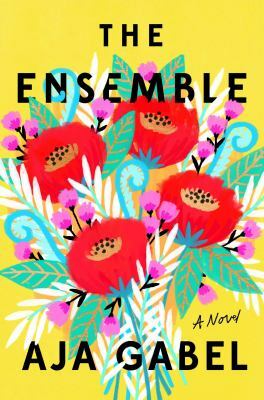 In brash, burning, and heartrending prose, Zumas teaches us the interconnectedness of one life to another and the vibrancy of hope in tumultuous times. Set in a United States where abortion is banned and IVF illegal, Red Clocks is a novel of forward thinking and revolution. It’s witty and full of relatable quips – a reflection of life’s pitfalls and mountains and written with the hand of a skilled writer. Zumas writes inside the heads of her characters – each sentence a gunshot ringing clear in the minds of the protagonists. Each woman wielding her own flaws, dreams, and faulty beauty, the reader gains a true and sometimes alarming insight into their lives. The novel is incandescent with the fire of the strange, sparking with the light of life. Ultimately, through pain and reward, the women of Red Clocks learn their own lessons in the novel’s revelation. While its mature themes are not for everyone, there are countless aspects to love in Zumas’ political, hilarious, and gorgeous testimony to the horrors and beauty of a woman’s life. 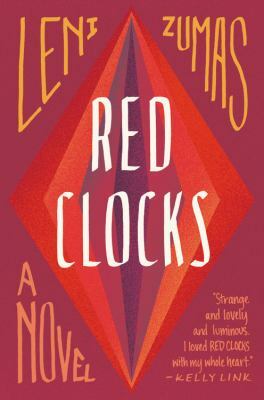 Red Clocks by Leni Zumas is available for checkout from the Mission Viejo Library.